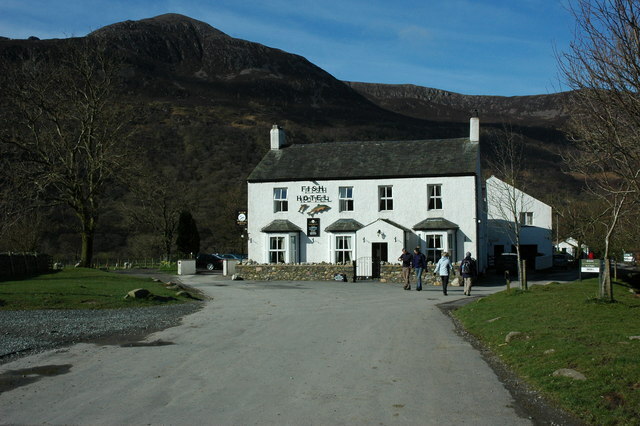 "Popular hotel and pub in the village of Buttermere. Red Pike is the mountain peak in the background." Photo by Philip Halling, 2009.